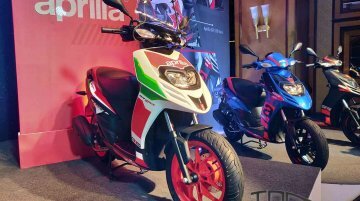 Aprilia will expand its product portfolio in the Indian market with the launch of the Storm 125 by the end of this month. 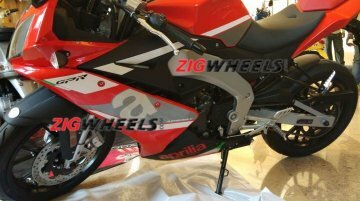 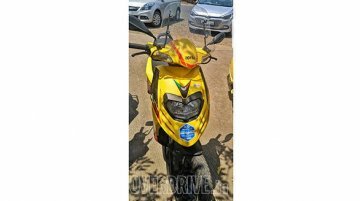 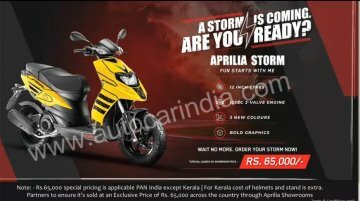 The Storm 125 will arrive at INR 65,000 (ex-showroom Pan India), making itself..
Piaggio could extend its Aprilia range of products in India as a new scooter was recently spotted in the country. 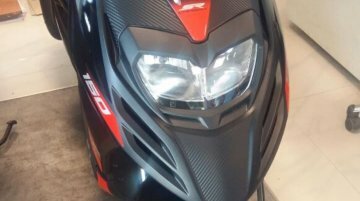 The upcoming product was seen with a BS-VI 160 sticker on the apron. 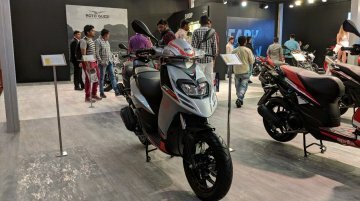 So could this be..
Piaggio is reportedly working on expanding its product portfolio in the Indian market with the launch of a 160 cc maxi-scooter. 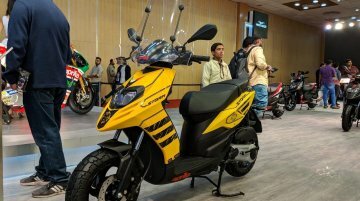 A report from Bikewale suggests that the all-new scooter is in the final..
Piaggio India recently showcased a wide range of new motorcycles and scooters to its dealer partners during an annual conference in Goa. 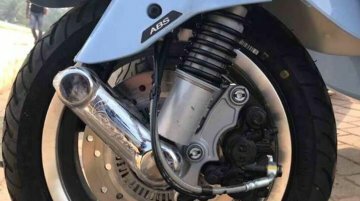 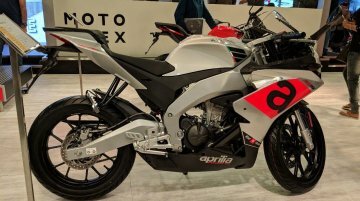 Among the various unannounced models was the Aprilia STX 150,..
Update: Piaggio officials told IAB that SR Max 300 was brought to India for internal display purpose only and there are no plans to launch the scooter in the country. 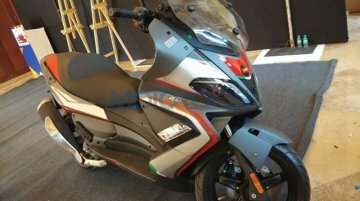 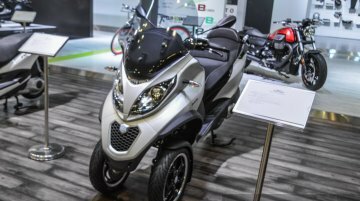 Maxi-scooters could be the..
A report from September 2018 revealed that Aprilia is working on two scooters for the Indian market that would accompany the brand’s sporty SR150 and SR125. 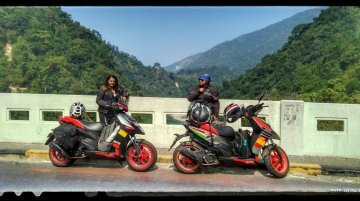 One of them is the Storm 125 that was..
Two women riders – Debolina Mukherjee, 26 from Bardhaman and Riya Roy, 22 from Asansol – completed a 1,701 km long road trip starting from Bardhaman on October 23, 2018, in a record time of eight..
IAB reader Lakshya Anand has shared images of an Aprilia SR 150 Carbon Edition that has been showcased at a New Delhi-based dealership. 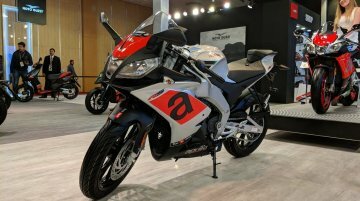 The special edition of the SR 150 was launched in September and..
Autocar India reports that Aprilia, which recently introduced the 2018 range of SR 150 and SR 150 Race in India, will launch two all-new scooters here next year. 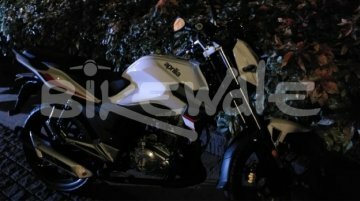 While one of these will be the.. 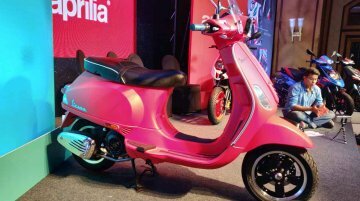 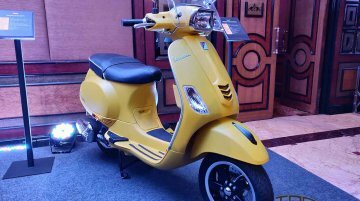 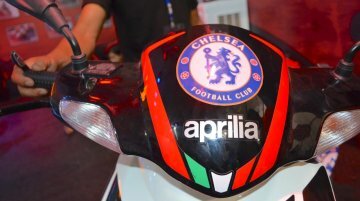 The Aprilia and Vespa scooters range in India will be updated with ABS and CBS models by the end of this year, Piaggio India has confirmed to IAB.